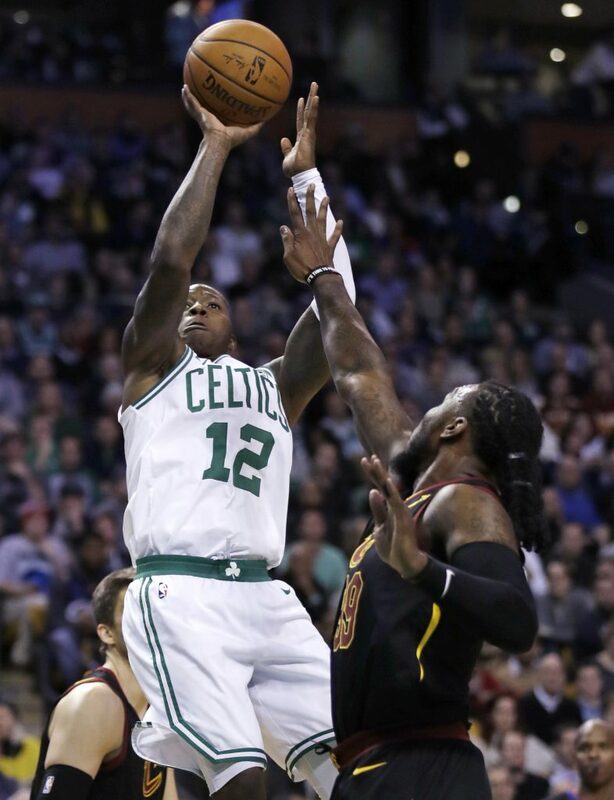 Terry Rozier scores 20 points in 20 minutes, sending Cleveland to its fourth loss in five games. BOSTON — One by one, the Boston Celtics lined up to embrace Isaiah Thomas. 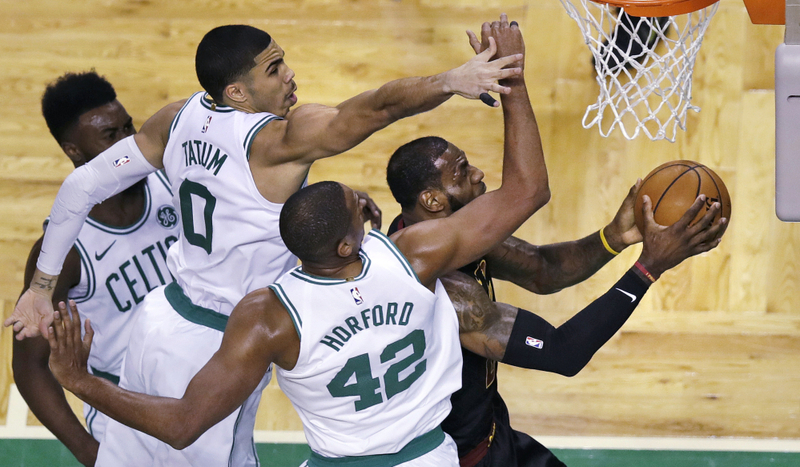 Boston’s Jayson Tatum and Al Horford try to stop Cleveland’s LeBron James on a drive to the basket in the first quarter Wednesday night in Boston. It was the first time the teams had played since the opener, when top Boston free-agent Gordon Hayward broke his leg in a gruesome injury that reshuffled the Eastern Conference playoff race. The Celtics finished with the top seed last year, but lost in the conference finals to Cleveland. 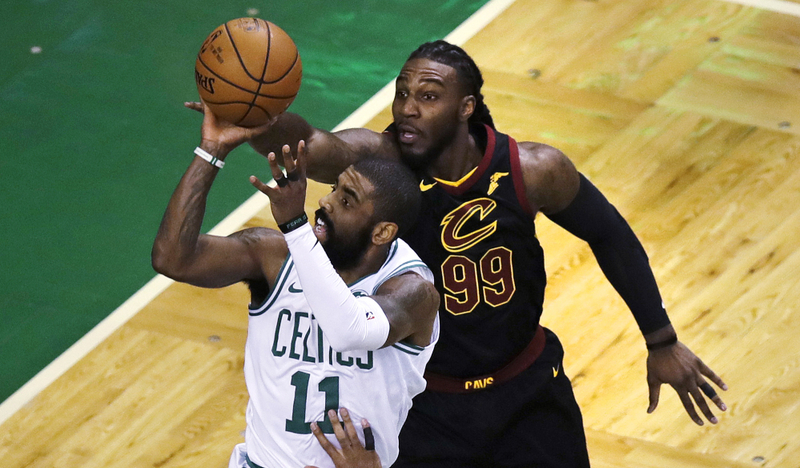 Boston’s Kyrie Irving drives to the basket past Cleveland’s Jae Crowder in the first quarter Wednesday night Boston.